The cutest couple in gaming — Sean “Day” Plotz and Danny Trejo — are at it again. 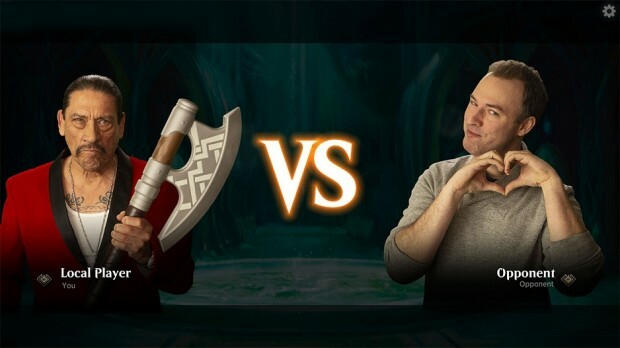 The duo will help Magic: The Gathering Arena players find their matches this Valentine’s Day weekend, with a special Singleton event that runs from Thursday, Feb. 14 to Monday, Feb. 18. To participate, players will have to create their best Singleton decks — that’s a deck that has no more than one copy of any card, except basic lands — and take on challengers in a tournament with no entry fee. Each win (up to five) nets you an alternate-art copy of Duress, and five wins also gets you an alternate-art copy of Ghalta, Primal Hunger. You can keep playing until you reach those five wins or suffer two losses. Learn more about the tournament on the MTG Arena site. Or, you know, just admire Danny Trejo’s fine fashion sense in the video below.